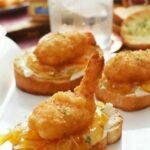 Home » Lifestyle » Back to School Crate Organizers for Snacks and More! Back to School Crate Organizers for Snacks and More! The back to school rush is on and this year I am finding myself in a pickle! Do I drive the 25 miles daily to my kid’s former school, or put them in local public schools? It is such a hard decision, but after some careful consideration, I think I know in my heart what needs to be done. Regardless, when the end of August rolls around, my kids will be back to school. That means a few things for me- 1. I will finally have some peace and quiet after almost 11 years of kids. 2. My “baby” will be starting kindergarten which is bittersweet. Add our current BIG move in and we have some chaos in the mix of getting used to our new town. To keep things sane, I have decided this year will be all about routines. I need to be organized…we need to be organized. I have decided that the best thing I can do this year is set up some Back to School Crate Organizers to serve as a command center for my kids until my husband builds the cubbies we so need in the kitchen. My hope is that they made their home and school life transition seamless. 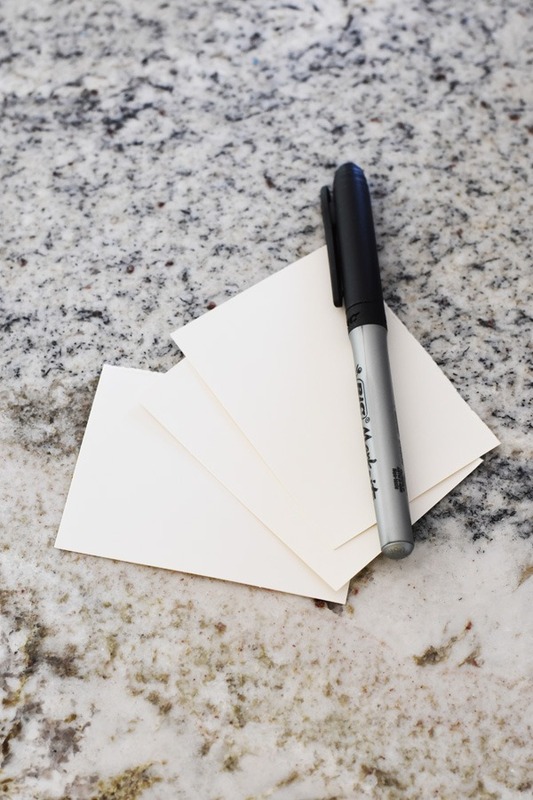 Recently, we have been in full on back to school mode, I am pretty close to checking off most of the items on our back to school lists and even have extra paper products for the school. 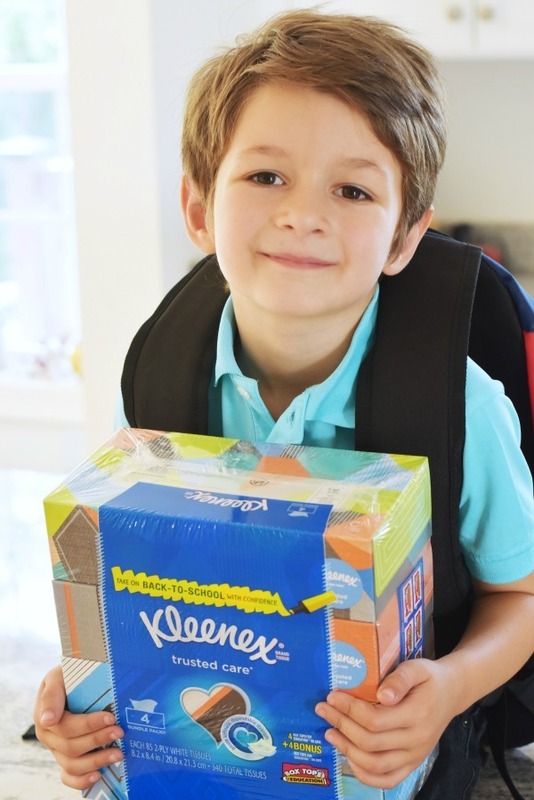 They are always in dire need of things like tissues and paper towels so the Kleenex® Trusted Care* 3 Bundle Pack and Kleenex® Trusted Care* 4 Bundle Pack are perfect options. they come with limited time double Box Tops which is so appreciated! In fact, for a limited time get double Box Tops with Kleenex Facial Tissue at Walmart! 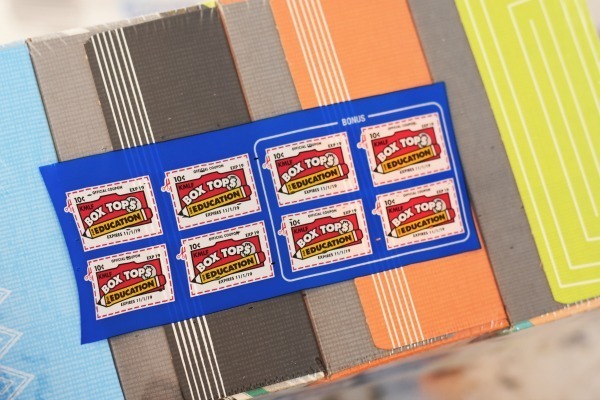 Each specially marked package comes with a whopping 8 Box Tops labels! 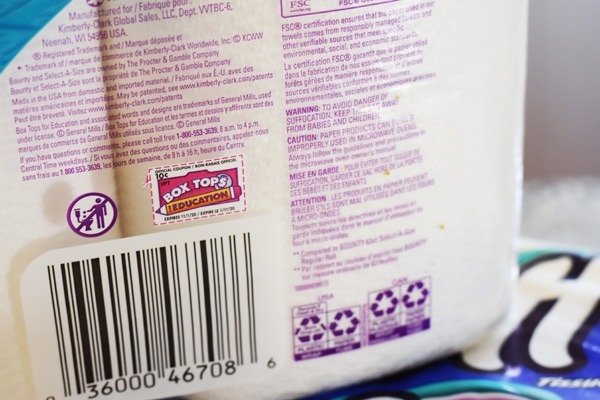 Thanks to Box Tops on these everyday items, back-to-school shopping is made easier, and fun! Our school depends on Box Tops to help them purchase extras they may have otherwise not been able to budget for so purchasing these items is a win/win! 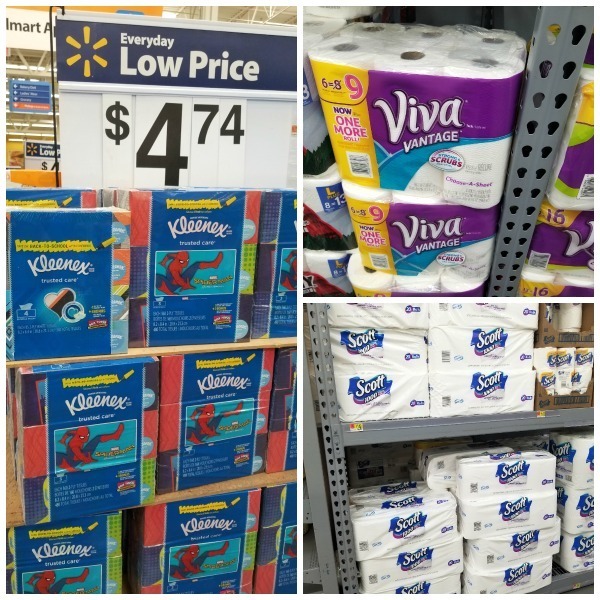 While at Walmart we also picked up some Viva® Vantage® 6 Big Rolls, and Scott® Tissue 20 Roll Pack. Our school also requests paper towels on their classroom wish lists so this is pretty important to send them back to school with these to be a hero and save. 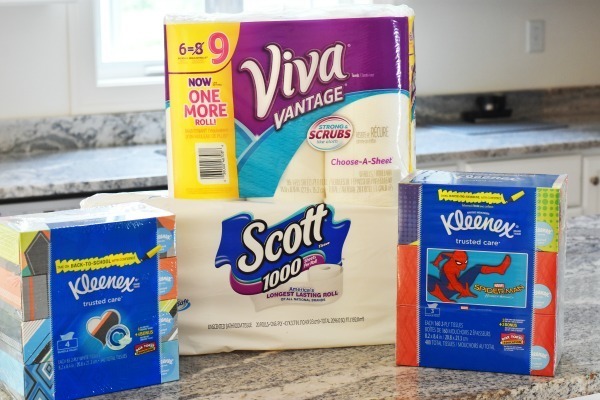 Now that we have 3 full baths, we need to be well-stocked on Scott Tissue! To make our school mornings easier, I put together some simple Back to School Crate Organizers for Snacks and More! >>> You can find these bins at stores like Walmart. Consider using ones that have ample space for your child’s back to school agendas, lunchboxes, snacks and more. >>> For perishable lunches, I make them the night before, and put the full lunch bag in the fridge. In the morning we plan on having the kids choose 2 drinks, and 2 snacks. This will teach them responsibility, and prevent my picky eaters from wasting foods they do not like. >>> In these crates, I will also add any folders, or homework that needs to go back to school. This will keep everything in one uniform spot, and teach my children to get into good habits. 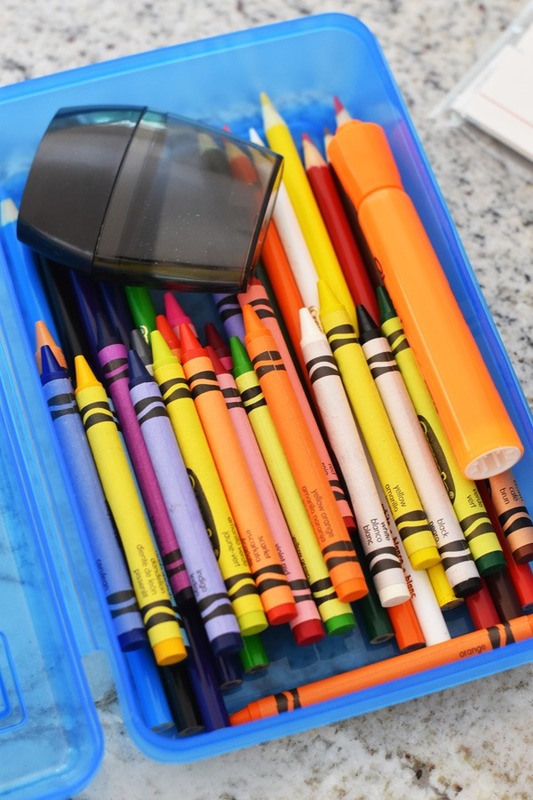 What are some ways you are keeping your children organized this back to school season? 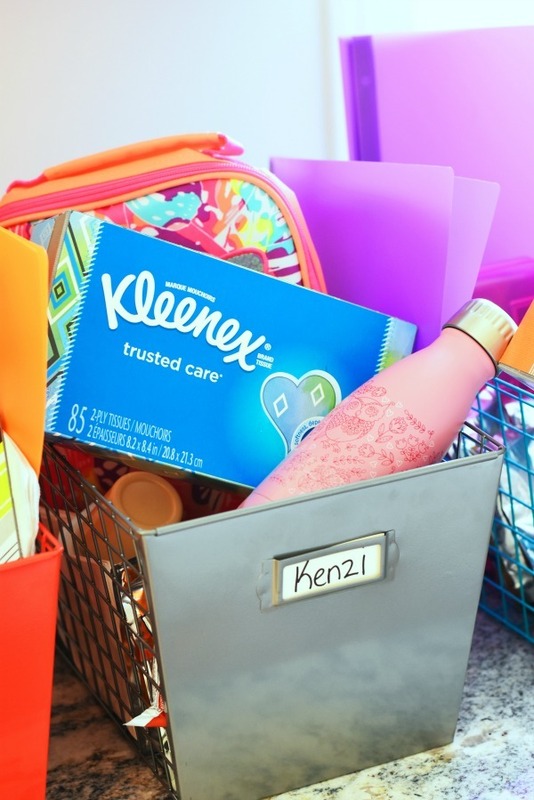 Will you be setting up back to school organization crates, and give back double with Kleenex Facial tissues? Previous Post: « S’mores Milkshakes At Home! 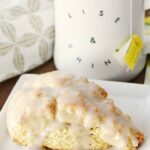 This is the perfect thing to help keep school days on track and less hectic. Thanks for the idea! These are awesome! 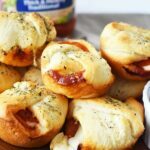 I need to make these for each of my kids. They have a terrible habit of just throwing their stuff all over the place. I need to make up a couple of these for my kids. They are such good kids, but they are such MESSY kids, too! I think I need to hire you to organize my life lol! Our schools start next week and I have really done nothing to prepare. 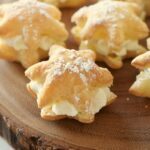 I need to get the supplies I need to make some of these. It is perfect for back to school. I am going shopping to stock up this weekend. That’s a great idea. I have three kids now going into 6th, 5th and 4th grade and things get hectic. I’m also in the process of trying to organize so our days can go smoother. You’re definitely ready for the school year! Using the bins was a really good way to stay organized! I love this idea! I have just started getting the kids organized for school. This reminds me to get tissues! This is a brilliant idea! 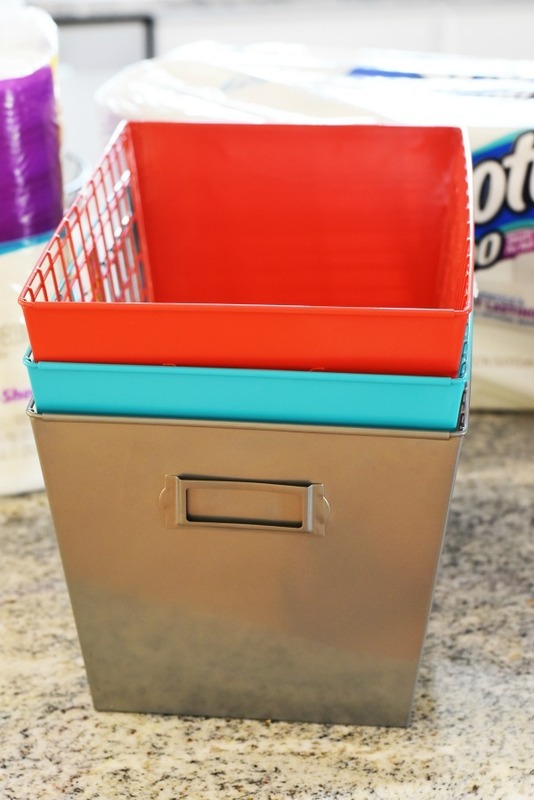 I am all for keeping my kids organized! Thanks for the suggestion!! My son is starting kindergarten on MONDAY! I am not sure if I’m freaking out or freaking excited! Love the idea of back to school crate organizers for snacks! What a great way to ensure that you are ready for back to school! With three kids all going to different schools, these organizers are going to be a must in our house! Thank you so much for sharing. These crates are a great idea. 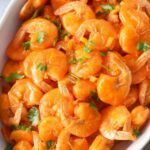 I’m always looking for ways to make kid life easier and less hectic. Your tips are great. Great way to be organized. I will try with my kids. I say put your kids in the local school (as long as it is good) and take the pressure off yourself. Then you can have time to create great crafts like this with them instead of sitting in the car. What a brilliant idea! Can I just hire you to organize everything for me, haha! Love the idea of giving them their own little area of organization for their school things!